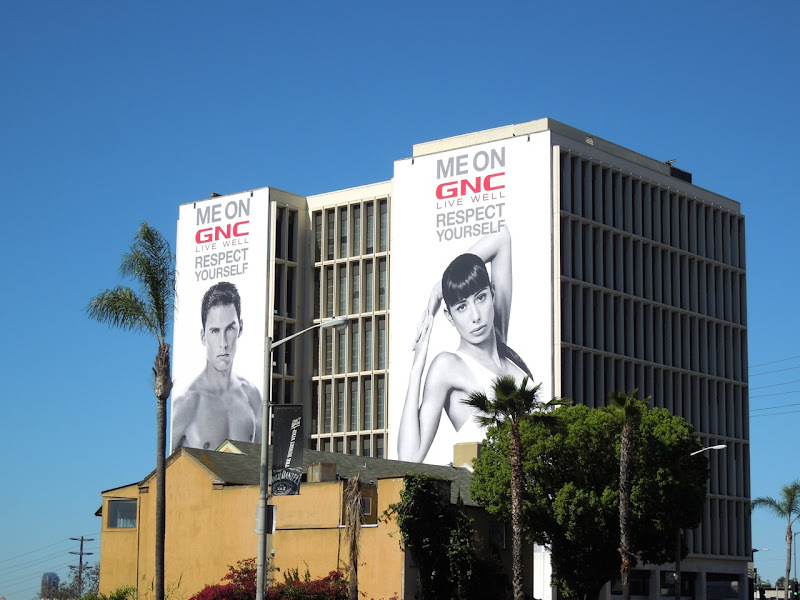 Need some motivation to get down the gym and in shape for Summer, what about these giant GNC Live Well billboards along L.A.'s Sunset Strip? If only it was as easy as taking a few vitamins and supplements to look this good, no one mentions all the hours of dedication and exercise it takes. 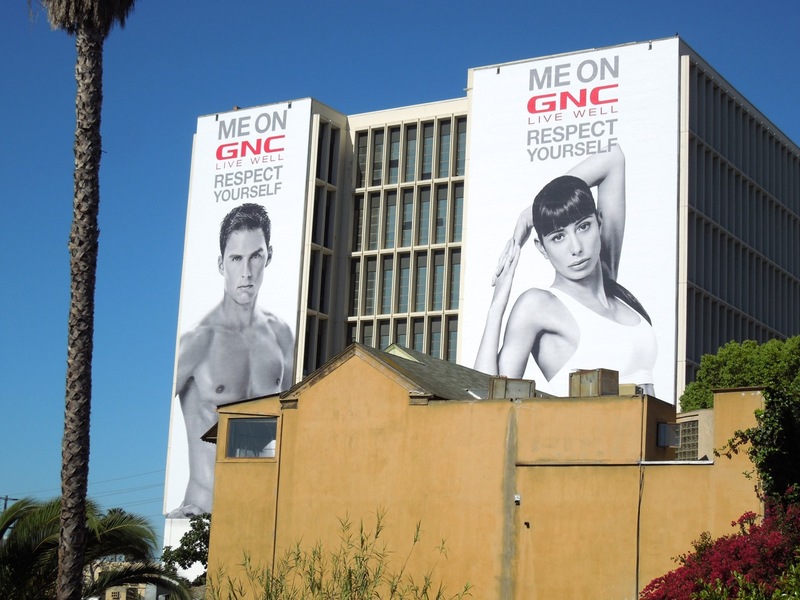 Daily Billboard thinks this male fitness model's body is real inspiration to get fit and healthy (and really stands out from a distance), whilst the female model looks a tad miserable and pouty, surely a smile wouldn't go amiss. If you like these 'Respect Yourself' ads snapped on April 17, 2013, be sure to check out these previous GNC Live Well billboards too. 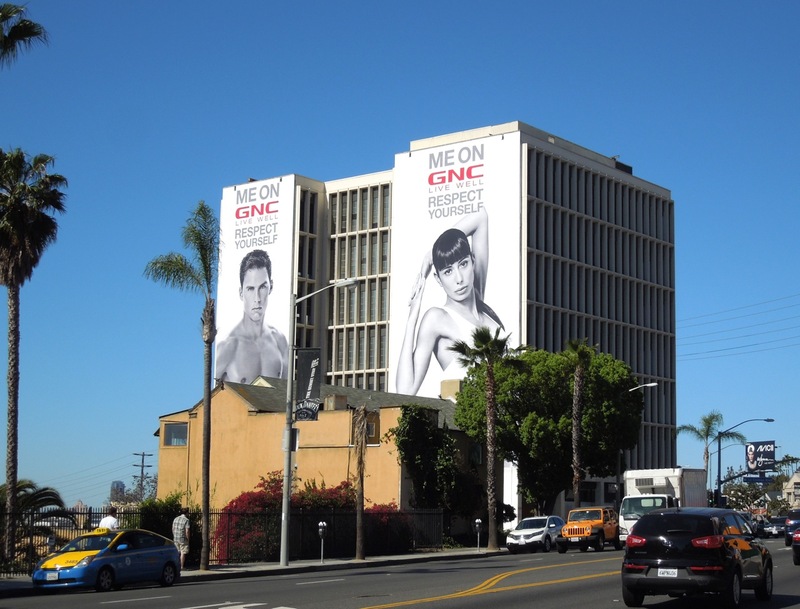 UPDATED: This past week they have been breaking ground on a major new hotel and residential development along L.A.'s Sunset Strip, which resulted in them demolishing the derelict building in front of these giant billboards. So here's a better view (for the time being) snapped from Sunset Boulevard on August 22, 2013.
who is the male model in the billboard? Sorry couldn't find any info on him anywhere on GNC's website or FB page! Anyone have any luck finding out what this guy's name is?